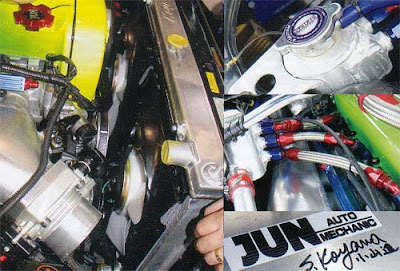 JUN's modifications to the RB26 cooling system in order to help vent bubbles from the high side of the engine. 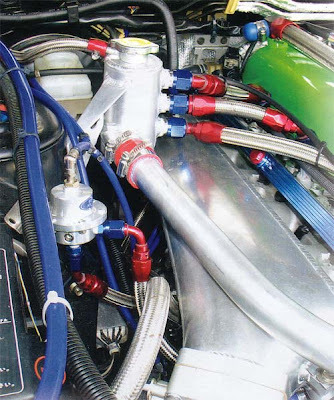 The RB26 is tilted and the high side of the engine has a tendency to trap air.This is the fairly complicated way to help remove the air from the high side. 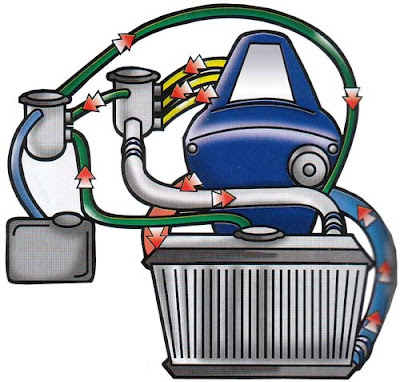 This setup requires a single throttle body, as they drill and tap the cylinder head to relieve water direct from the head.